Thanks very much for your review and your kind comments. We thoroughly enjoyed working on your project. We are looking forward to working on the next stage of your project with you. Thanks very much for your kind words. We have really enjoyed working on your project and are looking forward to working on future projects with you. Thanks very much for your review and your kind comments. We thoroughly enjoyed working on your project. Thanks very much for your review. We really enjoyed working on your project. 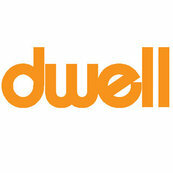 From beginning to end, we were extremely pleased with the service given to us by Anthony Brown of Dwell Design.